Darlings, CC is loving this marvelous metallic trend; how about you? 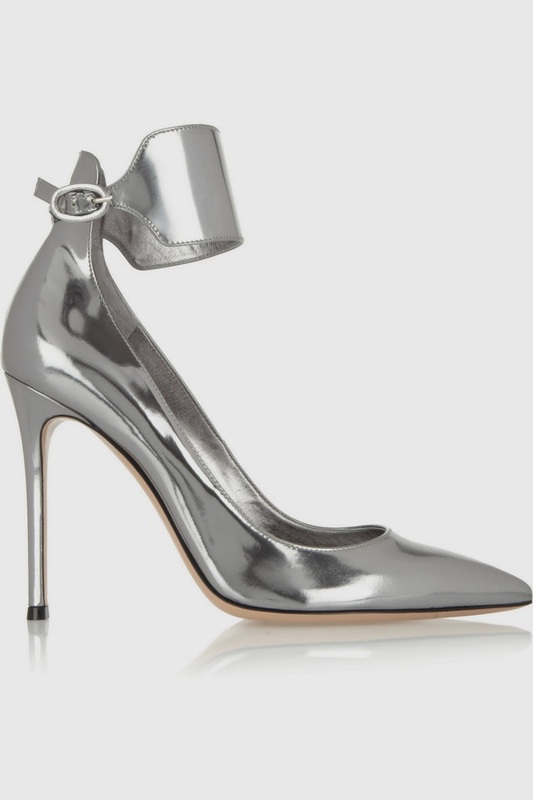 Striking silver is not just for jewelry... From pretty pumps to divine dresses, metallics are magical! Gianvito Rossi metallic leather pumps, at net-a-porter.com. 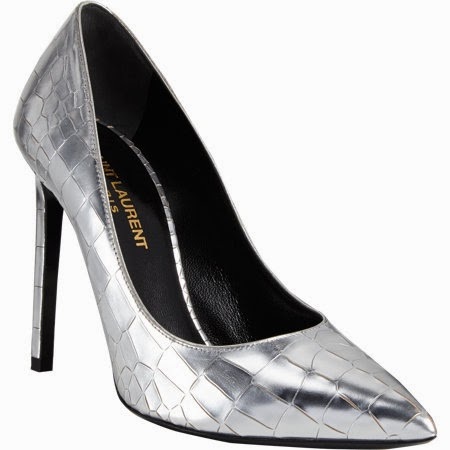 Saint Laurent crocodile Paris point-toe pumps, at barneys.com. J. Crew mirror metallic high-heel sandals, at jcrew.com. Manolo Blahnik Chamosca sandal, at barneys.com. 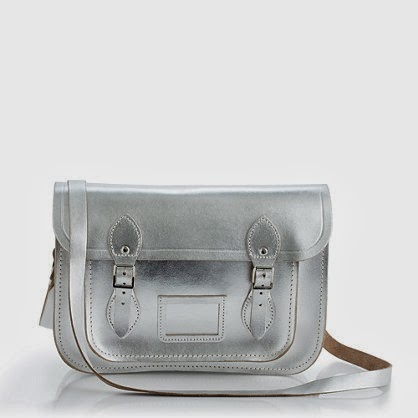 The Cambridge Satchel Company metallic satchel, at jcrew.com. 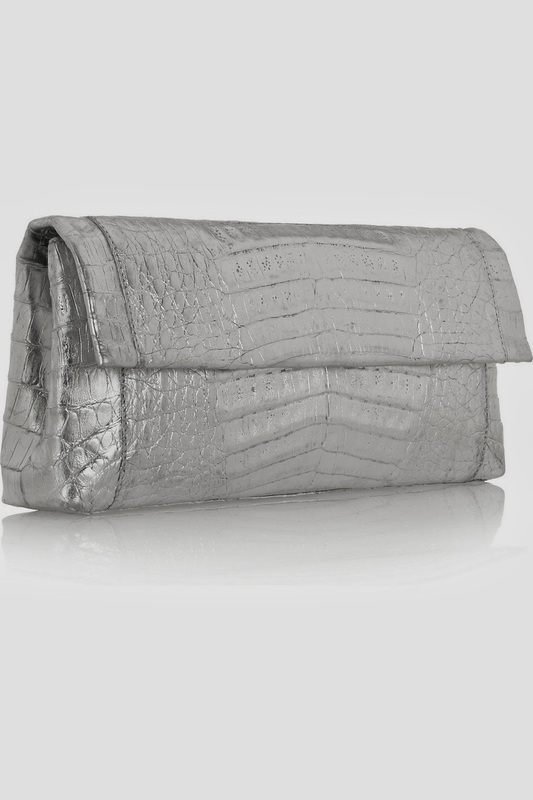 Nancy Gonzalez metallic crocodile clutch, at net-a-porter.com. 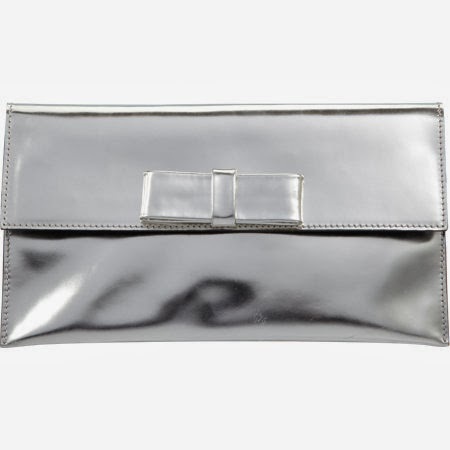 Marni metallic bow clutch, at barneys.com. 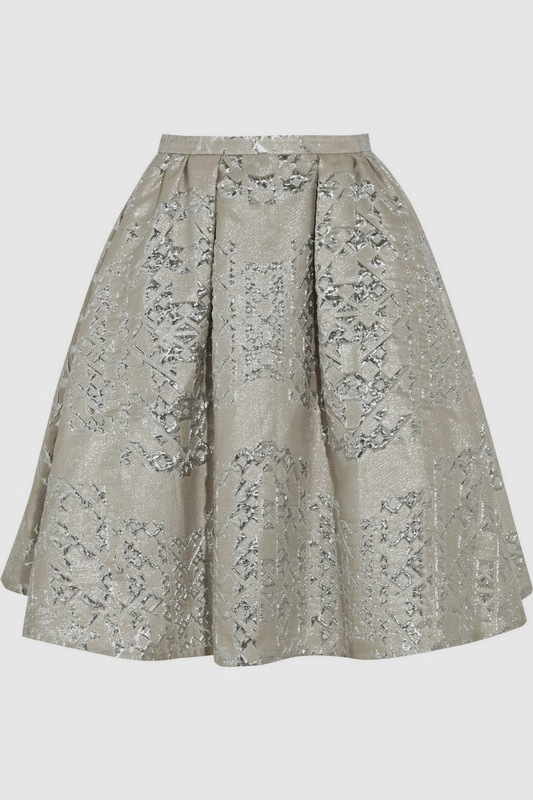 Peter Pilotto metallic jacquard circle skirt, at net-a-porter.com. Marc by Marc Jacobs metallic leather miniskirt, at nordstrom.com. 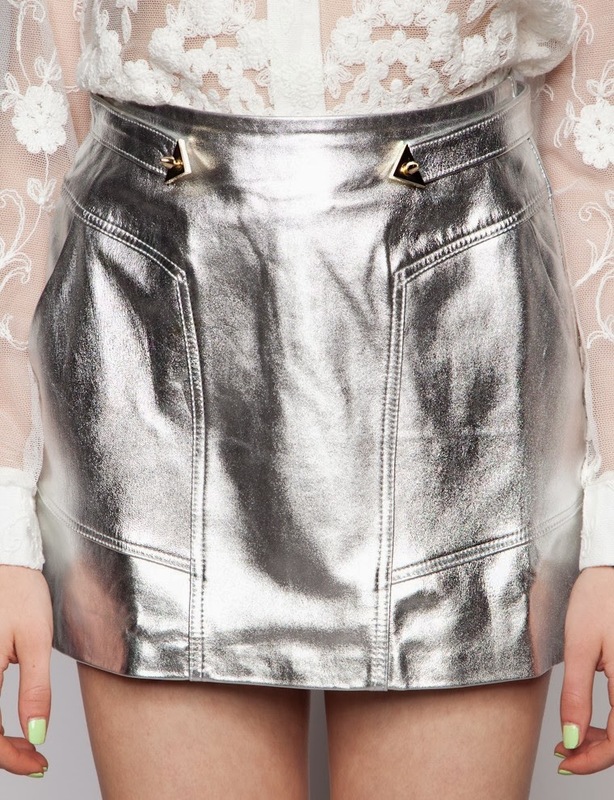 Shakuhachi Silver Bullet leather skirt, at pixiemarket.com. 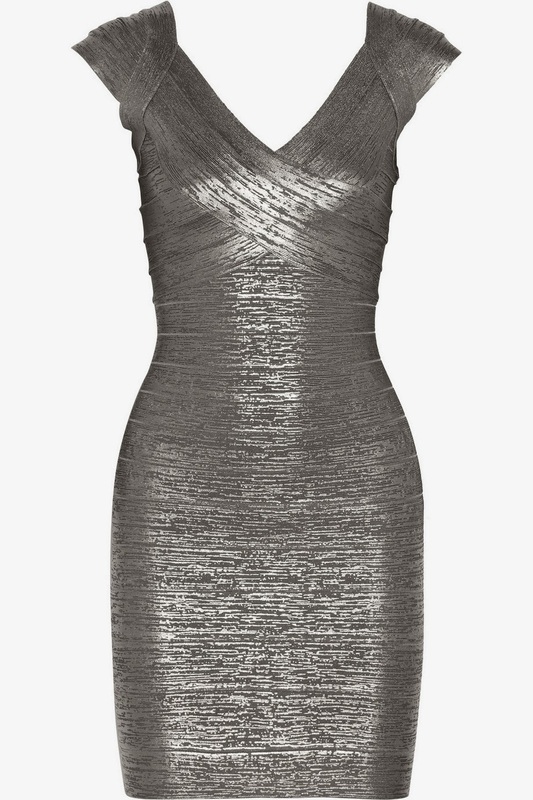 Herve Leger metallic bandage dress, at net-a-porter.com. Reem Acra embroidered cap sleeve dress; this and next at shopbop.com. Kaufman Franco fish scales sleevelss gown. 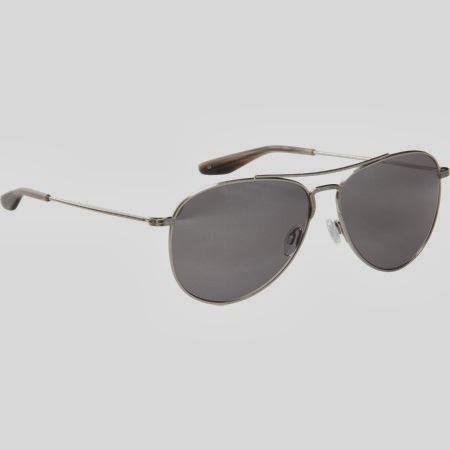 Barton Perreira Hughes metal aviator sunglasses, at barneys.com. 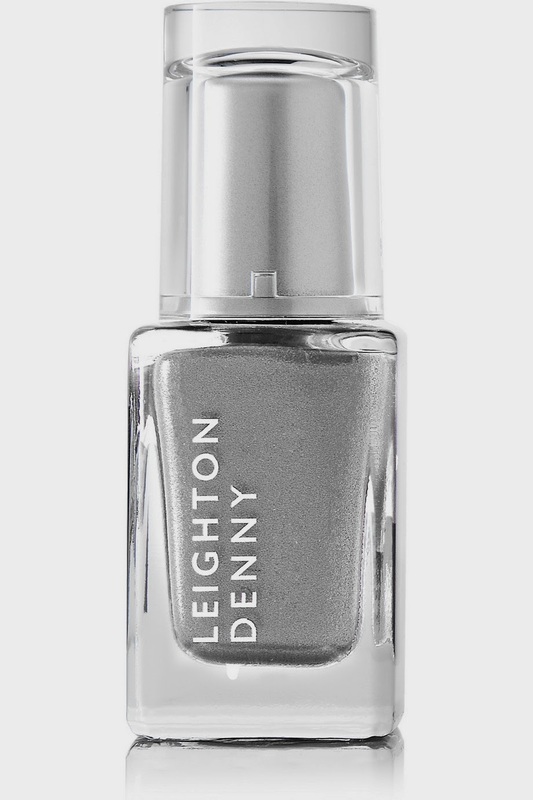 Leighton Denny Diamond Diva nail polish, at net-a-porter.com. Which of these magnificent metallic pieces do you prefer?